CSPAN-3 is currently holding a conference called "Southern Writers on the Confederate Flag." Yet, somehow, my invitation seems not to have arrived. Pity it didn't come on time. This is a rather sad display of a 'panel' with a uniform opinion. Sample quote: "Even though these young men didn't like being compared to Nazis, they did learn..."
There has been much said about Southern history, diversity, and the experience of being Southern. I am not sure that any of these good people have, however, given any thought at all to the flag. Certainly they have not investigated the question of why it remains an enduring symbol, beloved by so many. The closest we get here is, "'Heritage not hate' is the cry of the thoughtful flag waver. I've always thought the walls were paper thin for them. How about 'Heritage and Hate!'" Pity, really. There is a lot that probably should be said, if there were thoughtful writers to address it. I have spoken to Southern issues on occasion, and to Southern honor at length. I am, however, a poor writer whose attention only turns now and then to my blessed homeland, being occupied with other matters most of the time. There are surely others who are better qualified to speak to this matter, who might have been invited. Yet if there truly be none, I would stand. I've tried to explain the Confederate flag to the crowd on Atrios' blog, after all--surely the folks at this conference couldn't have been more hostile than that. They found that a large adult head size was beneficial in preventing cognitive decline, in particular memory. At the other end of the spectrum, though, the news was grim. Those with the smallest heads had up to a fivefold greater risk of cognitive decline over this time than those with the largest. I feel far more cheerful now than a few minutes ago. I'll just go get my size 62 hat, and whistle all the way to the train station. Hat tip to Oscar Jr. This is Sgt. Hook giving us some photographs of Iraq that you probably haven't seen elsewhere. In the US's seven wars of the past century (not counting numerous and sometimes bloody military actions in Panama, Grenada, Somalia, Bosnia, Guatemala and elsewhere) - World War I, World War II, the Korean War, the Vietnam War, the Gulf War, the Afghanistan war, and the Iraq war - only Australia fought in all seven wars, and every one of them was fought far from Australia's shores. In World War I, when the population was only 5 million, 300,000 men enlisted for duty and the majority, 216,000 of them, were either killed, wounded or captured. To put this in perspective, it was the equivalent of today's US (with 290 million people) suffering 12 million military casualties. A review from Hollywood.com suggests that the new movie starring pro-wrestler 'The Rock' "is reminiscent of the Indiana Jones films-minus the xenophobic, imperialist, and misogynistic elements." Xenophobic? My interest in learning multiple languages and studying Eastern history was spawned in part from watching those movies as a kid. Indiana Jones was xenophilic, if anyone was. The comic scenes in which he eats things like chilled monkey brains with aplomb were meant to emphasize that fact--the hero is not put off by differing customs. He speaks the language, he eats the food, he befriends the locals and attempts to understand them. Imperialist? What can this possibly mean? Indiana Jones didn't seem to have a political agenda at all. He was an archaeologist who robbed tombs to fill a friendly museum and his pockets. He had no political affiliations, or really any notable political feelings, except that he hated Nazis. Misogynist? The female lead of Raiders of the Lost Ark is introduced in a drinking contest, wherein she knocks down enough hard liquor to put a giant to sleep. Later, when Indiana Jones refuses to rescue her in order to keep the Ark expedition quiet, she nearly manages to escape by getting her captor drunk and pulling a knife on him. 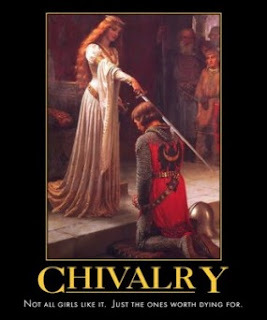 This is a misogynist's portrayal of women? We've got to hold people to the correct use of language. Not one of these insults applies in fact, but the author applies them all brazenly and without apology or explanation. Aaron the Liberal Slayer has added me to his "Hail! Hail! Rant and Roll!" blogroll. 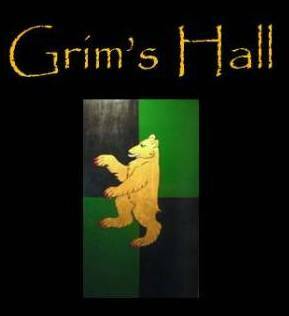 In keeping with Grim's Hall's policy of reciprocal hospitality, his hall is now on our list. I keep being told by a certain young lady who knows who she is that there is no evidence that Iraq and al Qaeda were linked. Here's a small rebuttal to that position from TCS. Bill Murphy said the Sept. 17 attack happened after he surprised a grizzly cub and its mother on a trail about 50 miles northeast of Anchorage where he was hunting for moose and sheep. �I didn�t even have time to jump,� Murphy said. Murphy grabbed his rifle but before he could raise it, the mother bear pinned him face-down. It then clamped her jaws around his right shoulder and started shaking him like a rag. He said he felt teeth pressing against his skin, then a pop as they sliced through. At some point, the bear let go, then stood over Murphy, panting and drooling onto his head. All he could think about was a bear attack over the summer near the Russian River where a man was bitten on the face and blinded. �I just lay perfectly still and said, �God, don�t bite my head,�� Murphy said. Finally, the bear moved away. Murphy said he got up, planning to shoot the bear, but it had broken his rifle. Let us all be as our brother, our sister, the Great Bear. The NYPD has created a special unit to thwart terrorists who are tempted to target city schools, it was revealed yesterday. Law-enforcement officials insisted they have gotten no specific threat against any school, and maintained that setting up the unit is part of an overall strategy to prevent another terror attack. "Better safe than sorry," said one police source. Earlier this year, The Post reported that al Qaeda thugs practiced storming a school, shooting children and taking hostages. The videotaped exercise took place in an abandoned school in Afghanistan. As I recall, the videotaped exercise ends with shooting the hostages once television cameras are there to see it done, followed by a suicide-charge against police lines. It's worth remembering that these people were training to kill our kids, before the US Special Forces showed up at their campsites. That may not be enough to stop them. The fact is that a large number of states--it may even be all of them, now--have passed special legislation making it a crime to carry weapons of any sort on school property, even if you are not a student but a teacher or staff member, and even if you are licensed to carry elsewhere. The effect of these laws has been to create "Terrorist Safe-Zones" where no one will have any tools with which to resist. We need to rethink that. We don't want our kids carrying guns and knives to school, fine. We ought to want, though, those teachers who are willing and able to protect our children to have the training and tools with which to do it. I have heard that in Israel, no field trip can be undertaken without at least one armed adult. It would be wise to have a few trained and armed adults in our schools, too. We ought to remember that evil men have chosen our children as targets. 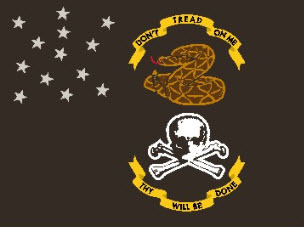 Up the militia. I've been waiting for this story for quite a while. Ever since I heard that Outer Mongolia was sending Mongolian soldiers to Iraq, I've been waiting to see what kind of press they'd get. The Iraqi and Arab press doesn't seem to have noticed them, which isn't surprising since only about 200 men are involved. Nevertheless, I was expecting something negative--I'm given to understand that the memory of the Mongol invasion is still very much alive in Mesopotamia. Though the coverage seems to be coming from the New York Times, the story is still worth noting. It is a mark of the strangeness of the age we live in, when Mongols led by Americans join together to rebuild Iraq. Internet Haganah fights the holy warriors on the electron frontier. The FGS Niedersachsen and the USS Doyle are both part of NATO�s Standing Naval Force Atlantic (STANAVFORLANT), a permanent peacetime multinational naval squadron composed of destroyers, cruisers and frigates from the navies of various NATO nations. The Honorable Davy Crockett speaks to socialism avant la lettre. Where did he get his keen understanding? From a backwoods Tennessee philosopher named Horatio Bruce. Bruce is a name we've seen before in the history of our kind of government. The last time it was King Robert the Bruce, author of the Declaration of Arbroath. The Bruces of Tennessee are, of course, proud relations. Today at FreeSpeech there is a link to a stunning pice that suggesets that income inequality is less severe in the US than in socialist Western Europe. This remarkable claim is based on a formal study of the issue of income inequalities worldwide, The New Geography of Global Income Inequality by Glenn Firebaugh. If this is true, the truth of which we won't know for a while, it removes the last leg of socialism. It is bad enough that socialism has hampered Europe and elsewhere so strongly that the US alone accounts for 60% of world GDP growth. If the evidence finally shows that socialism can provide neither for the general security nor the general prosperity, but in fact increases both internal violence (see below) and income inequality, we may at last see an end to that sinkhole of human energy and freedom. Stern gun control laws fail in Britian. The comments below the post are worth reading. Parapundit has an interesting account of the problems of property law in Afghanistan. Afgha.com looks like a good source for Afghan news. They are just collecting stories, rather than reporting--but they've got almost everything important I've seen out of Afghanistan this week, all collected on one page. The Asia Times has a story on some newly declassified US documents. They relate to the Taliban and al Qaeda. The Times' story is by Mr. B. Raman, former head of RAW. RAW stands for "Research and Analysis Wing," which is a lightweight description of a heavyweight player. RAW is India's most aggressive intelligence service. Most likely to my mind, then, this piece in the Times is Indian propaganda, designed to drive a wedge between the US and Pakistan. Nevertheless, it makes interesting reading. "He can save this goddam nation from self-destruction," declares New York Congressman Charles Rangel, who is arranging a meeting for Clark with the Congressional Black Caucus, possibly as early as this week. I'm going to guess that this is some of that "colorful" New York speech I've encountered on occasion. Let me just be the first to say, though, that I'll thank the Honorable Rangel to speak more kindly of my country.